So this does seem quite late to be doing a round up for 2105 but it feels like this is the first chance we have had to catch our breath and reflect before the whirlwind of the new 2016 season starts! We want to start by saying a huge thank you to those that supported us and all our customer last year and we look forwards to working with you all again this year! 2015 was another successful year for Boss Racing, as we added more silverware to our collection and we have been very fortunate to be recognised by so many people as being good at what we do! Once again we were recognised for our Racing with the CSCC which is always great. Graham Charmer won his class, Colin Watson was second in his class, and Tim Davis won the overall TVR trophy. Also we have been racing in the Sevenesque Series with the BARC South East and Colin Watson and Rob Singleton won the Twosomes Trophy, Best Team Effort for their race with them at Brands Hatch which was very close between the tow of them but with Rob ultimately winning! A new award that we received this year, and one that we are really proud of, is the Motorsport Days Team of the Year award 2016! 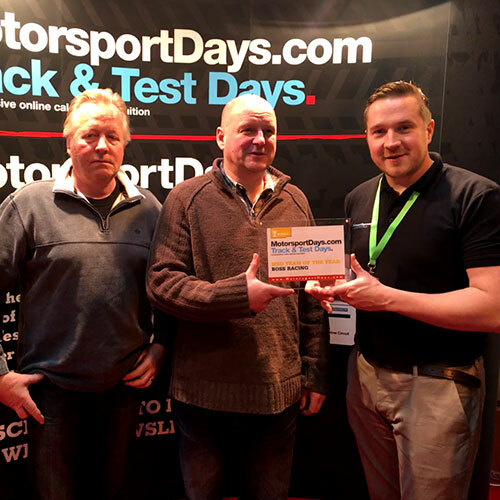 This one is really special for us as motorsport Days readers and fans have voted for it, and it recognises all our work off track, including the garage services and track day car hire. This award takes into consideration teams of all sizes, and the winner has surpassed expectations on all aspects of race preparation, servicing, on-circuit, transportation, facilities and hospitality. The voters’ comments speak volumes: “Well organised, friendly, high quality work”; “They provide support not only at the track but from the build of your race car, race tuition through to on track support; and “Excellent preparation, friendly towards other competitors, and support for many different cars and series.” Without doubt, this team leads by example. 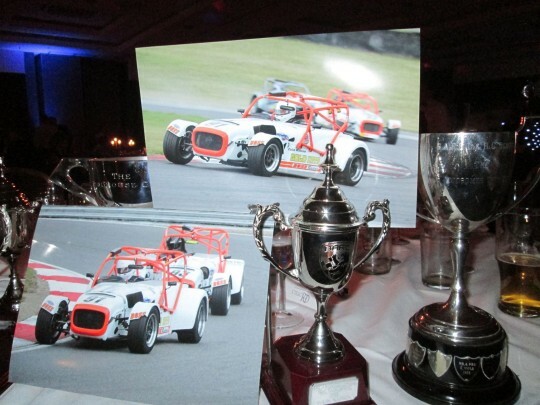 See all the Motorsport Days award winners here, and it has been nice to see this recognised on the CSCC website as well.